The TOTA ghosting fix in the now closed tota's ghosting thread doesn't work for me. When I place the SSE4 dll in the plugins folder the TOTA fix doesn't appear in the gdsx hacks section so I still get the ghosting. 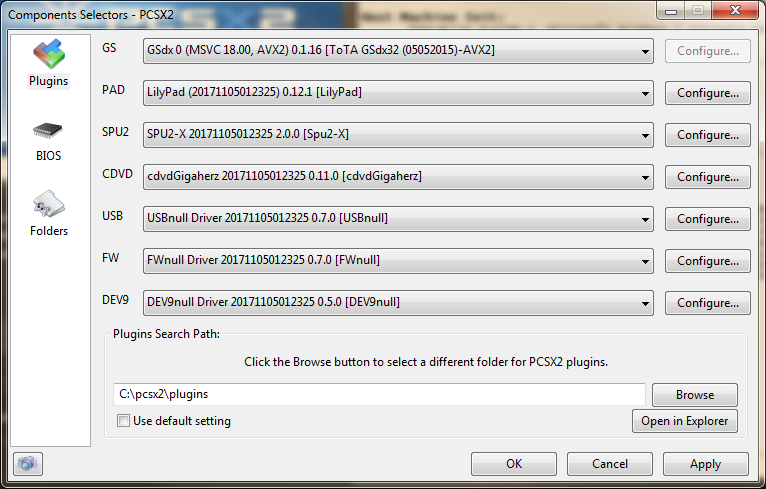 I am using PCSX2 1.4. My cpu is an FX-8350 which supports SSE4. The half pixel offset hack doesn't do anything either. How can I fix the ghosting issue? You have to actually select the plugin in the plugin selection screen.